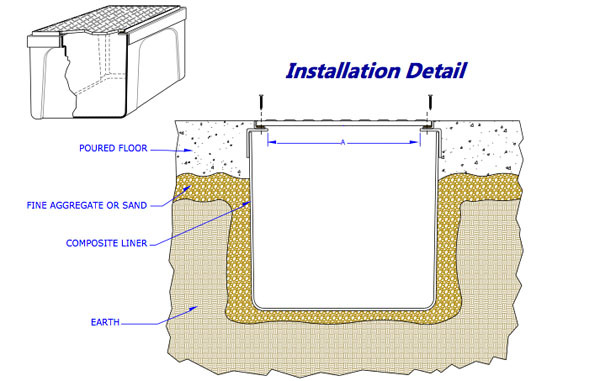 The CLL is another of our One Step installation unit. 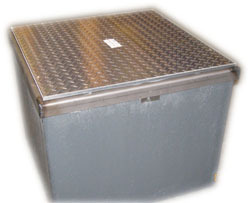 Its cover finishes are simpler in design and selection is limited to Flush Mill or Treadplate type steel and aluminum. Like all of units the liner is made of heavy composite material that includes a sturdy steel frame structure. Pit surrounding needs to be concrete flush with cover. Units are available in all our nominal sizes in 6 inch increments in length, width and depth.